It’s blackberry picking time on the farm! We’ve added another day — August 30 — join us 6:30 to 8pm! 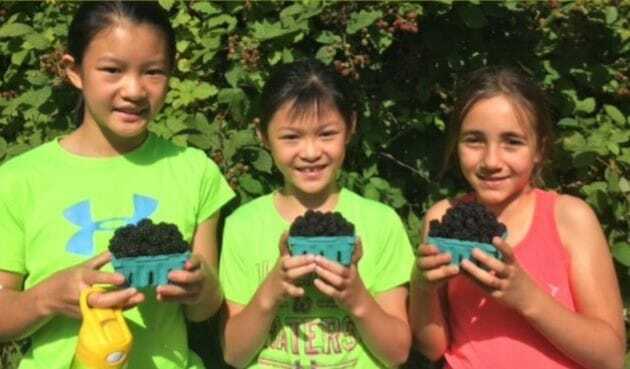 Come join us for u-pick blackberries on the 21 Acres farm! We have an abundance of wild Himalayan and Evergreen blackberries and would love you to bring friends, family and neighbors to pick. These are all completely chemical-free thanks to our Organic farmers. No picking by the side of the road — enjoy the beautiful scenery and sounds of the farm. Meet by the footbridge at the back of the paved parking lot. Bring boxes or containers for picking. Boots and long sleeves recommended. All ages welcome!